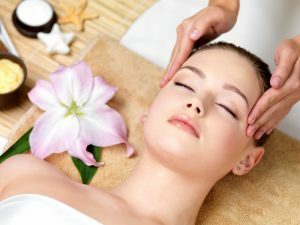 Indian Scalp Massage – You will fall head over heels for this relaxing massage. Warm oil is applied on head, scalp, and hair for this massage, which provides both a soothing and restorative effect. Relief of tension, headaches (migraines), and eye strain. Balancing the energy flow of the body. For an even more relaxing experiment add one of our therapeutic massages to your spa treatment.